I tried to draw some sort of pattern from the shade, but it looked strange. 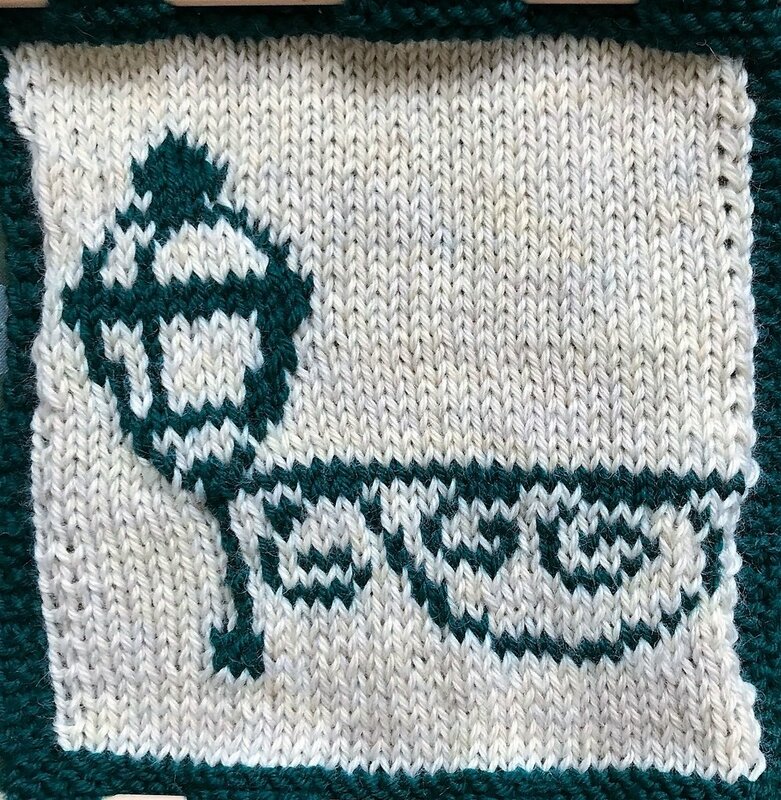 Then I tried to make up a pattern from the photo with the lamp up front - I liked my drawing, but how to knit it? In the end I settled for the lamp design seen from the side, as it has a lovely pattern on the branch holding the lamp. This last attempt turned out much better. I really enjoy this monthly challenge on how to turn one of my photos into a knitted square. I keep seeing patterns popping up here and there. I hope one day to take the best of my squares and make a real nice design ... but for now I continue my knitted version of a blog photo.